For the purpose of enforcing the provisions of KRS 72.410 to 72.470, coroners and deputy coroners shall have full power and authority of peace officers in this state, including power of arrest and authority to bear arms, and shall have power and authority to administer oaths, to enter upon public or private premises for purpose of making investigations, to seize evidence, to interrogate persons, to require production of medical records, books, papers, documents or other evidence, and to impound vehicles involved in vehicular deaths, employ special investigators and photographers, and to expend funds for the purpose of carrying out provisions of KRS 72.410 to 72.470. The coroner of each county shall investigate the cause and manner of all deaths that are defined by KRS 72.405 as coroner’s case. 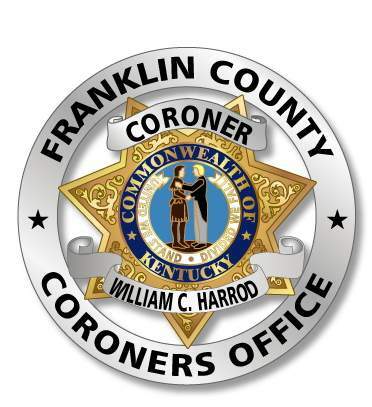 The coroner may, in his sound discretion, when investigating a coroner’s case, request the assistance of the district medical examiner and the state medical examiner program, order an autopsy and hold an inquest. Any person, hospital or institution, finding or having possession of the body of any person whose death occurred under any of the circumstances defined in subsection (1) through (12) of KRS 72.025 shall immediately notify the coroner or his deputy and a law enforcement agency, which shall report to the scene within a reasonable time. No person shall remove the body or remove anything from the body until directed to do so by the coroner or his deputy. The coroner shall take possession of any objects, medical specimens or articles of which, in his opinion, may be helpful in establishing the cause of death, and he can make or cause to be made such tests and examinations of said objects as may be necessary or useful in determining the cause of death. In the event that a criminal prosecution arises, all such objects and articles together with reports of any examinations made upon them, shall be retained by the coroner until their production in evidence is required by the prosecuting authority, unless otherwise directed by written order of the court in which such prosecution is pending. In general terms the role of the coroner in a death scene investigation is to determine the cause and manner of death. Not all deaths are coroner cases. Coroner cases are specified in KRS 72.025. For example, if a person has an illness for which he is under treatment by a physician and dies as a result of the disease process the case is not a coroner’s case unless some other circumstance exists. A common misconception about the coroner’s office by the general public is that a postmortem examination (KRS 72.) and autopsy are the same. A postmortem examination is an examination of the deceased and the death scene. It may include the collection of specimens such as body fluids (blood, urine, vitreous) for toxicological examination and other evidence relating to cause and manner of death. It may also include sending the body to a pathologist for an autopsy. An autopsy is an internal examination of the body to include internal organs in order to determine medically the cause of a death. Any person who violates KRS 72.020(1) or who interferes with the coroner in the lawful performance of his duties shall be fined not less than two hundred fifty dollars ($250), or be confined in jail for ninety (90) days, or both.